Tap water filters and well water filters are essential for anyone who wants to ensure they are drinking clean, healthy water. Since the majority of people have tap water, we are focusing on tap water filters. Even though well water tends to be healthier and cleaner than tap water, drinking water contaminants from unknown sources can end up in groundwater at any time. In addition, many older homes have pollutants in the water pipes which may further contaminate the water. To help you quickly yet thoroughly understand how to choose a water filter to suit your needs, lifestyle and budget, we recommend that you begin by following the simple 3-step process outlined below. Read the brief summaries in each of these three steps. This background information will help you to understand how to choose a specific product. Doing so will also help you to quickly understand what’s available in water filtration, which filters provide the cleanest and/or healthiest drinking water, and what type of water filter will best fit your needs and budget. Even though the United States has some of the cleanest drinking water in the world, almost every source of tap water is still relatively unhealthy to drink. 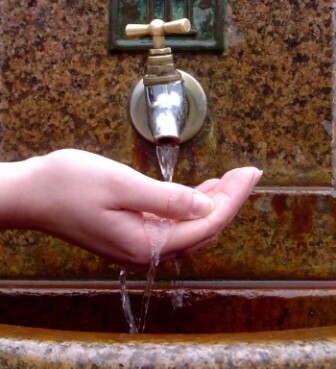 Click here to find out what is in tap water. This page also provides a link where you can find out if your local water report is posted online. When evaluating the best water filter for your home, it definitely helps to know what type of contaminants you are dealing with. Note: If you are already convinced of the need to filter your tap water so that you can drink healthier water and you know what contaminants are in your local water, you can skip this step. However, you might want to come back later and check it out. You have probably heard about or even used some of the more popular water filtration and water purification methods and technologies available today, such as carbon block, activated carbon, KDF, reverse osmosis, distillation, ultraviolet, and ion exchange. Click here to learn about the most common water filtrations methods. Click here to understand popular water purification methods, such as reverse osmosis and distillation. You will see that we recommend water filtration over water purification methods. Find out why we are convinced that filtered water is the healthiest drinking water for long-term use. Well and tap water filters come in an array of types and sizes. This step will help you to consider the different options, based on your filtration needs, budget, and preferences. Types of filters include pitchers or dispensers, faucet mounted, counter top, under the sink, or whole house. Understand the pros and cons of each type. Click here to learn more about the different water filter types. Note: Even though the focus of this site is primarily about drinking water, we also recommend using a bath and/or shower filter because of their significant health benefits.